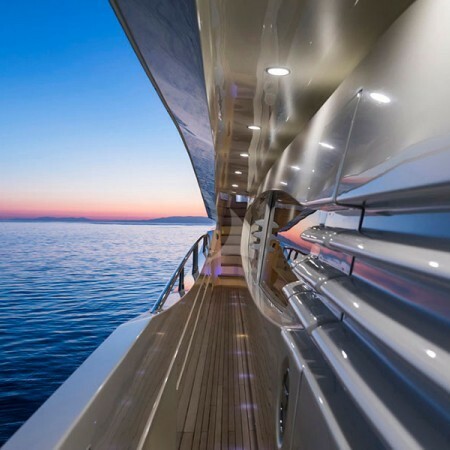 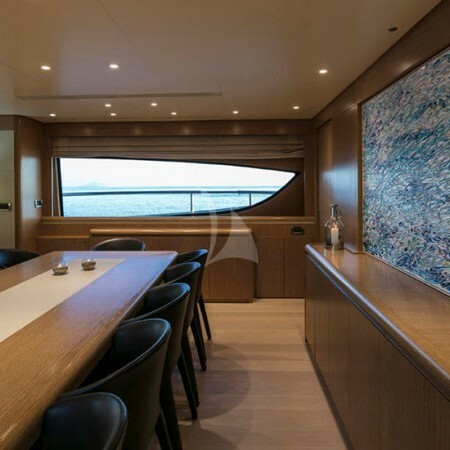 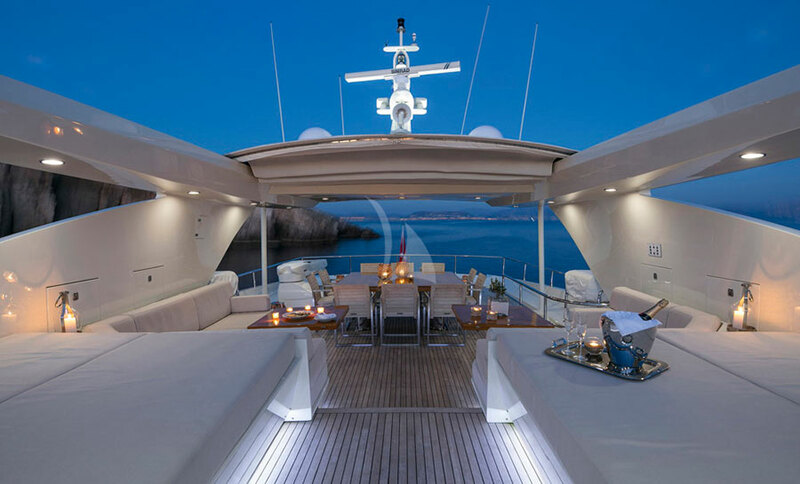 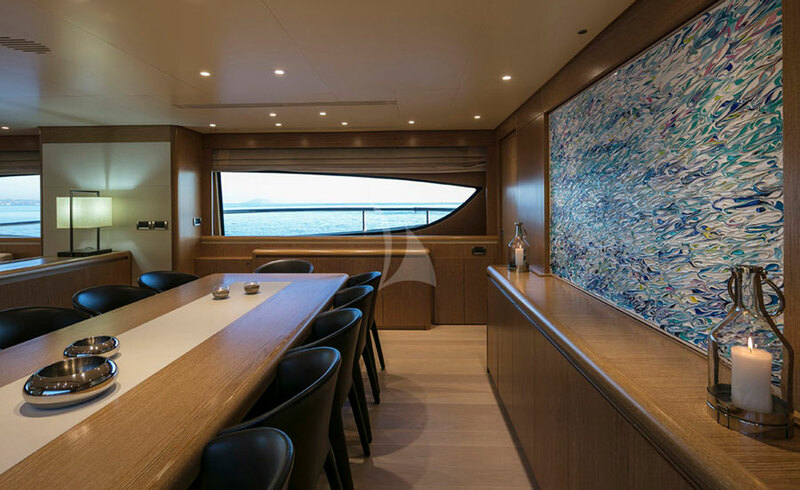 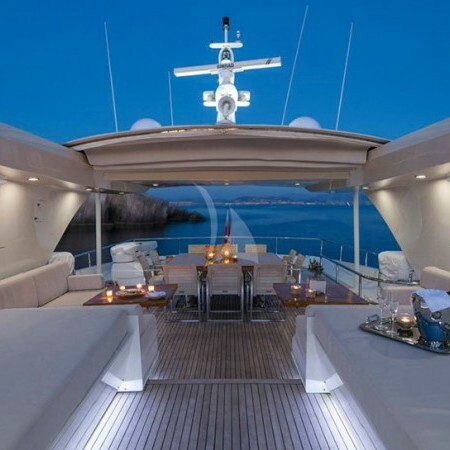 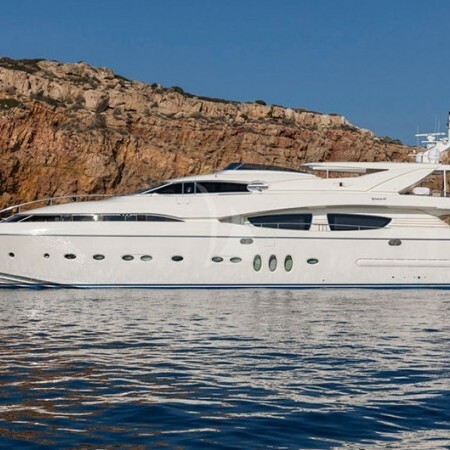 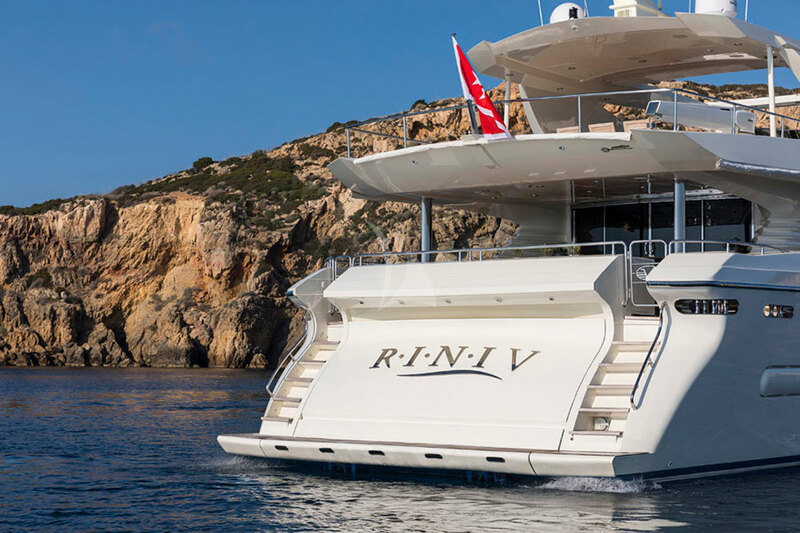 Rini V is the 120ft /36.58m Technema 120 motor yacht, built in 2009 by Posillipo and last refitted in 2017. 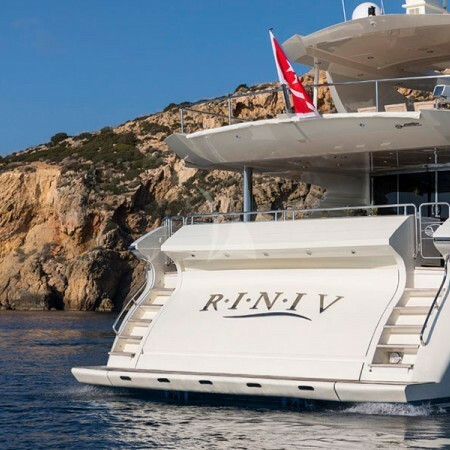 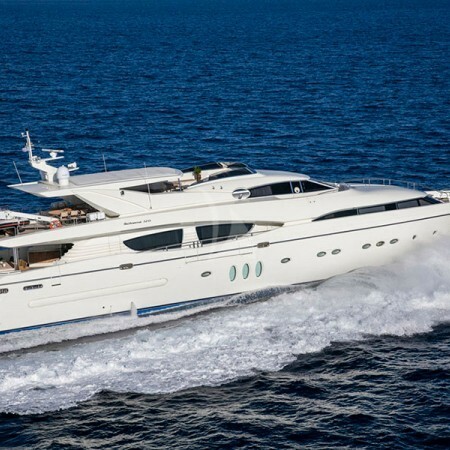 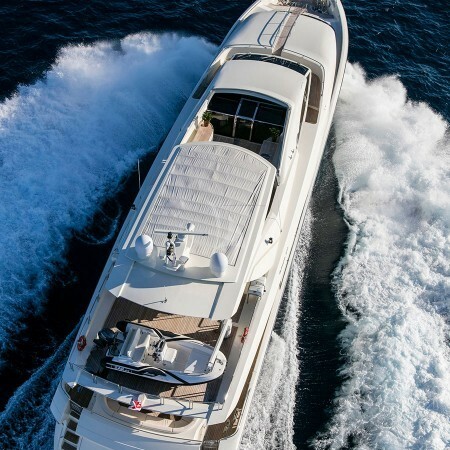 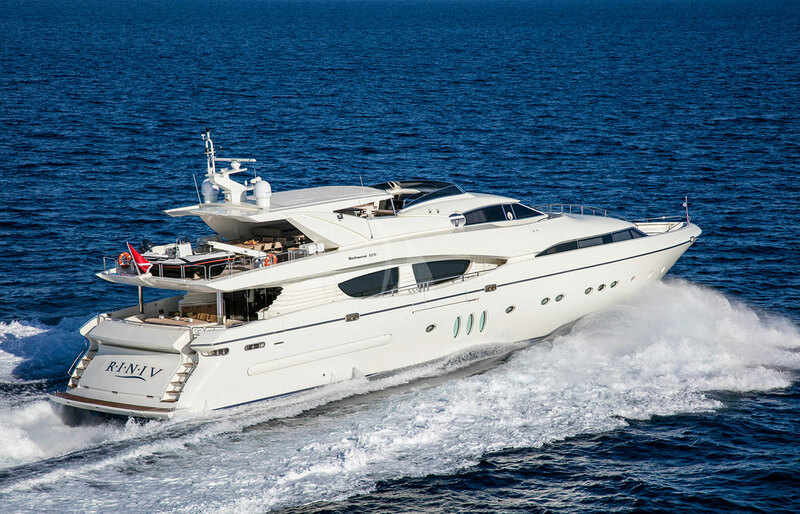 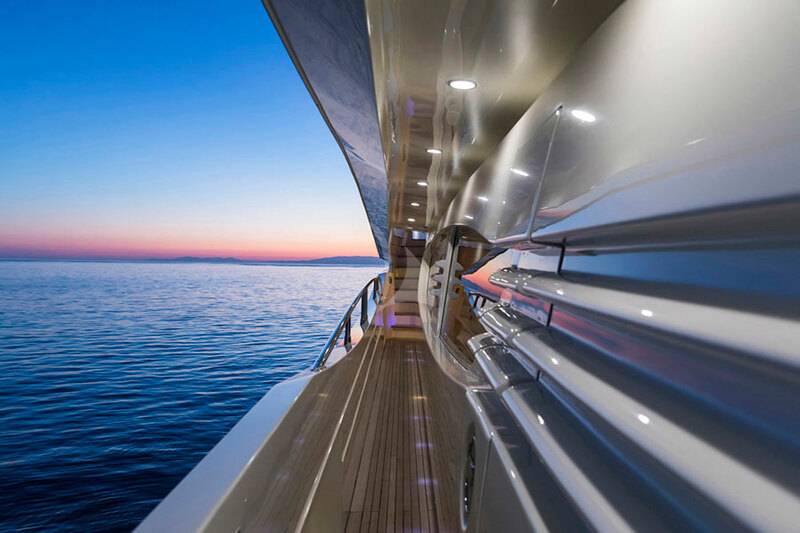 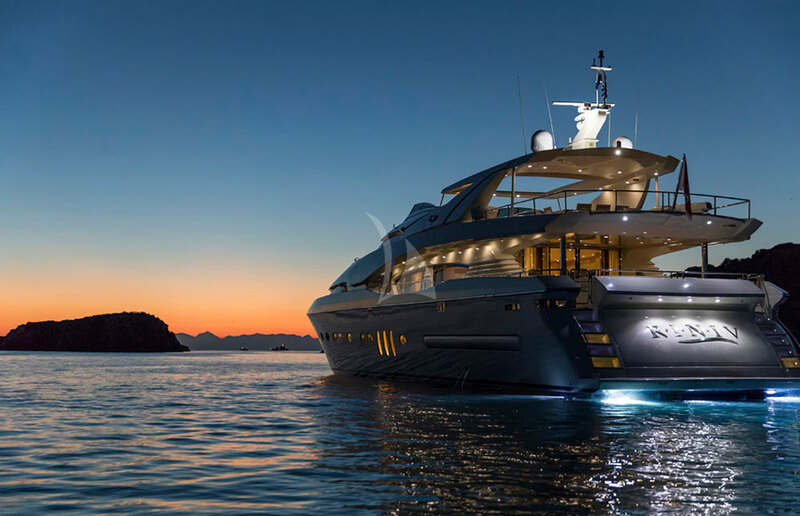 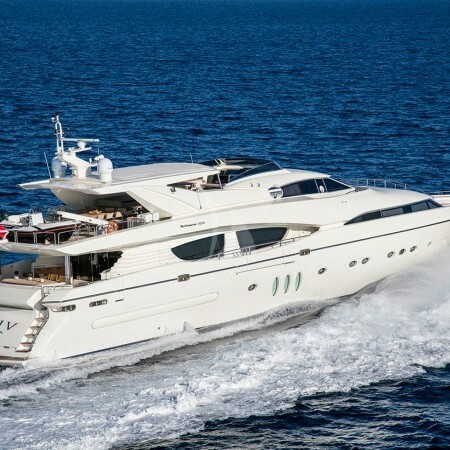 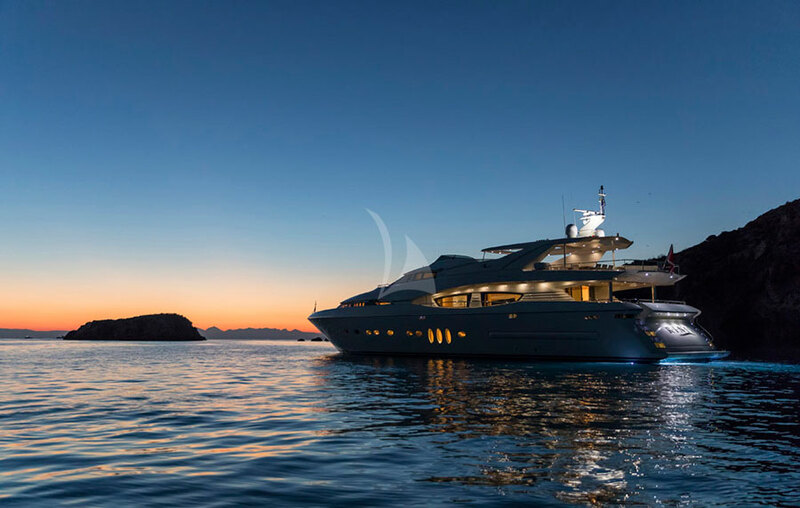 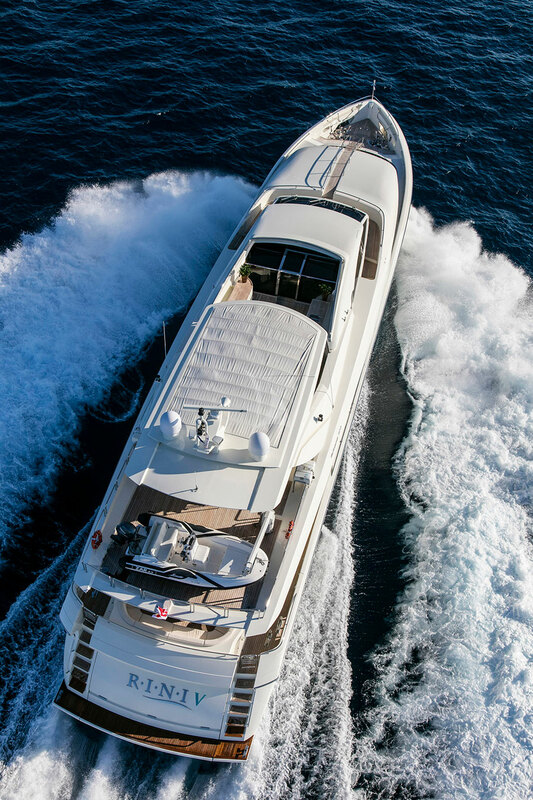 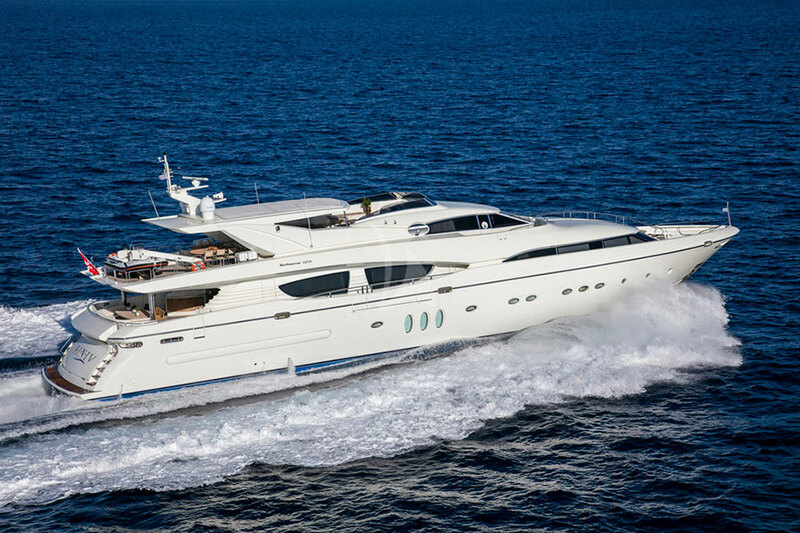 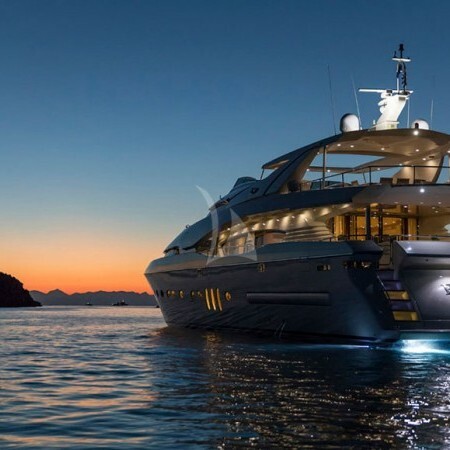 With her powerful engines of 3650hp you will cruise with safety at a cruising speed of 23kn, Rini V is offering a thrilling cruising experience in the Greek islands. 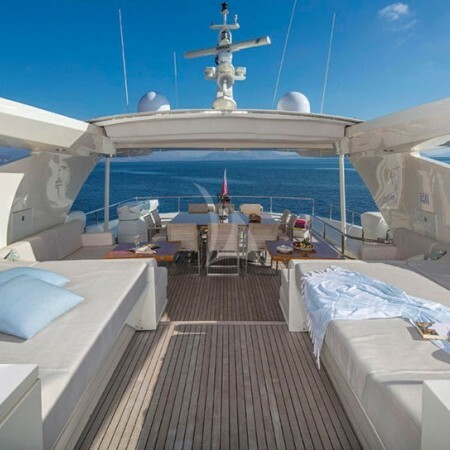 Her professional and friendly crew of 7 will ensure you relaxed and safe vacation in Greece. 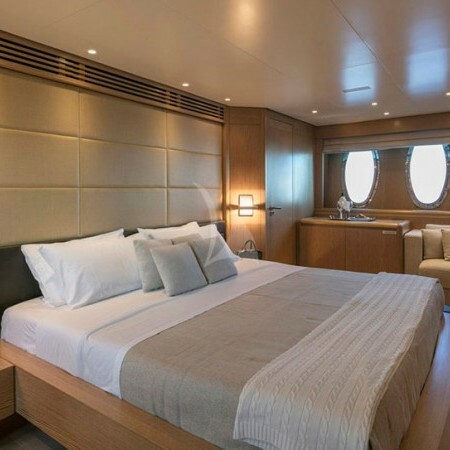 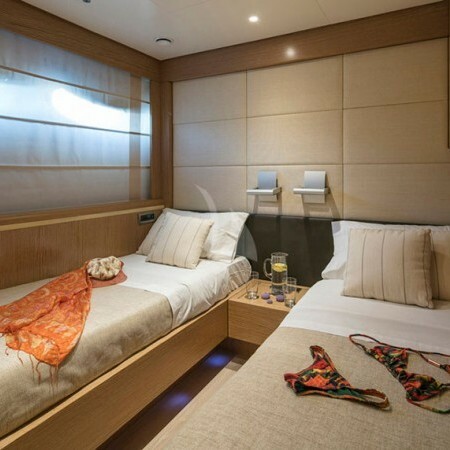 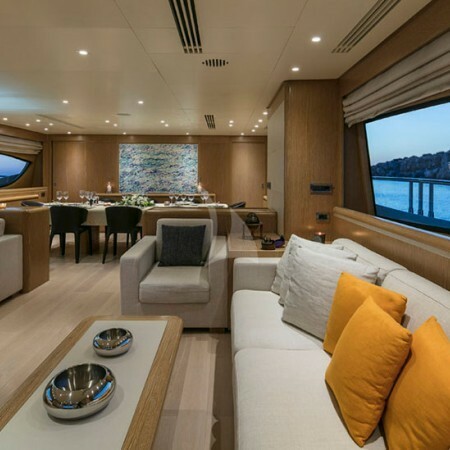 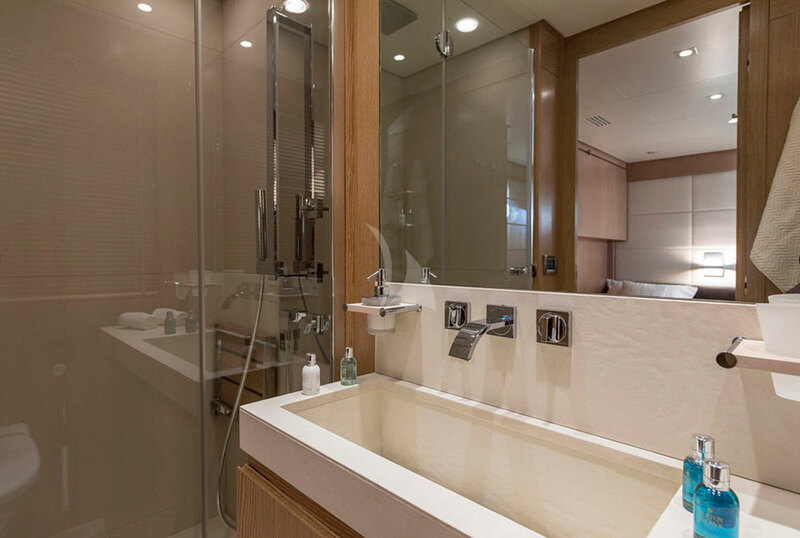 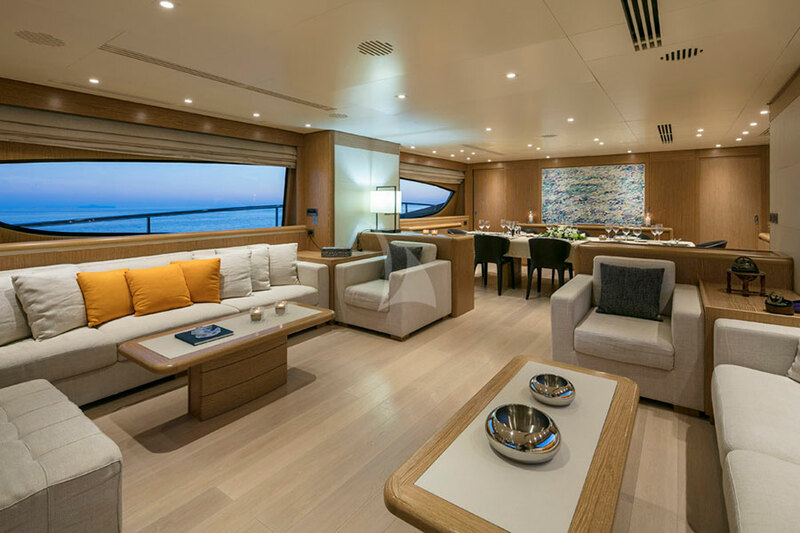 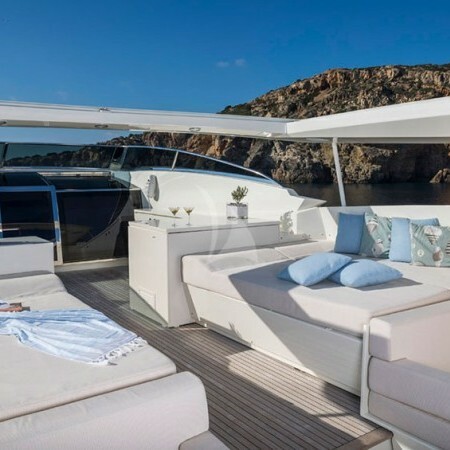 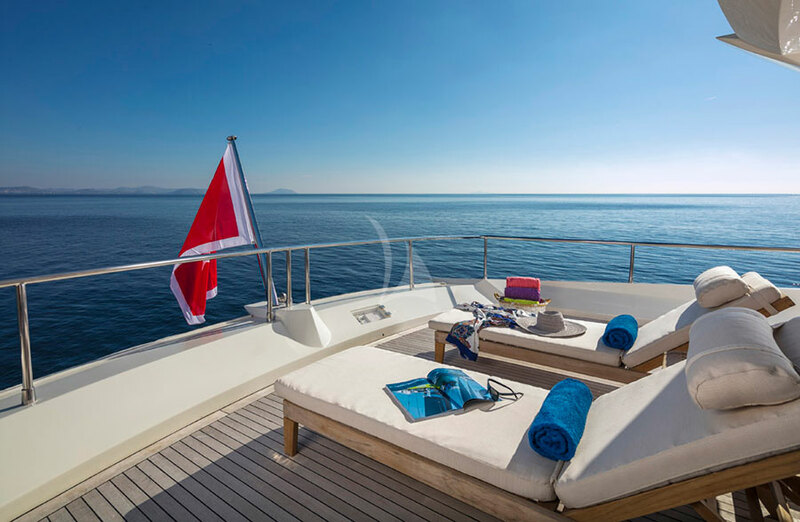 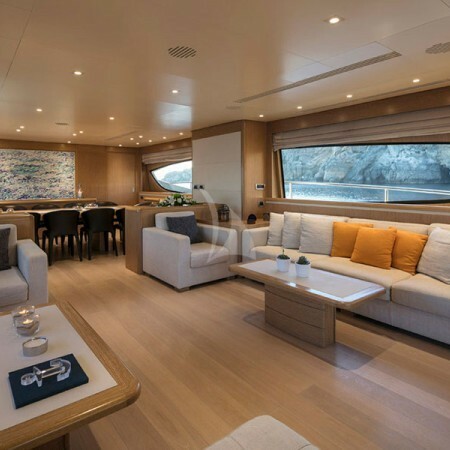 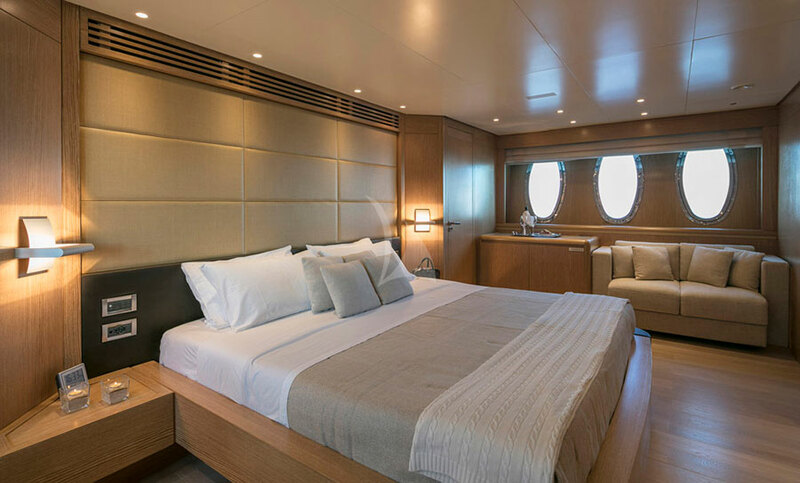 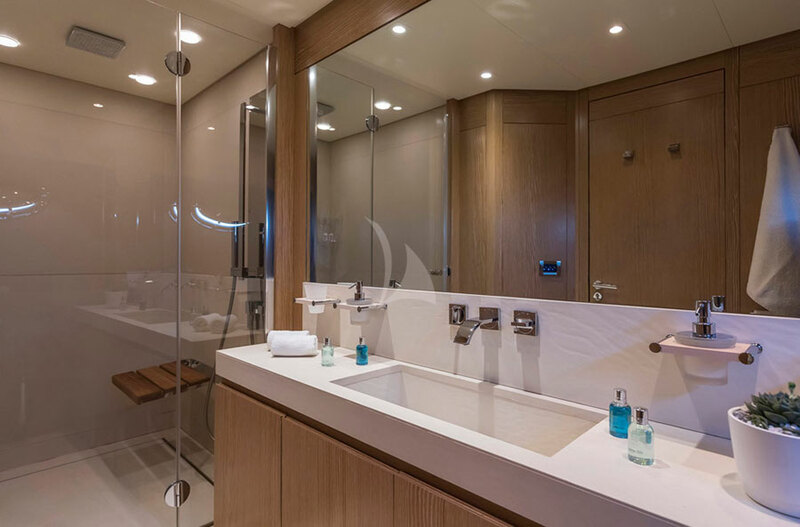 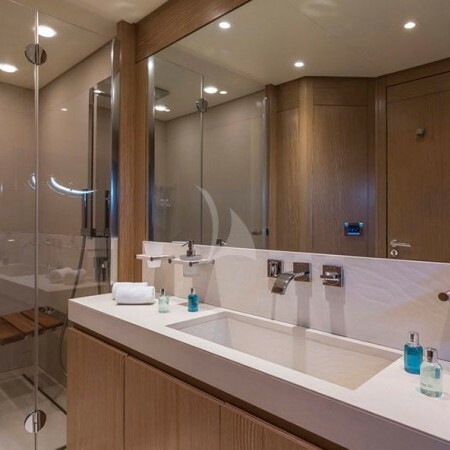 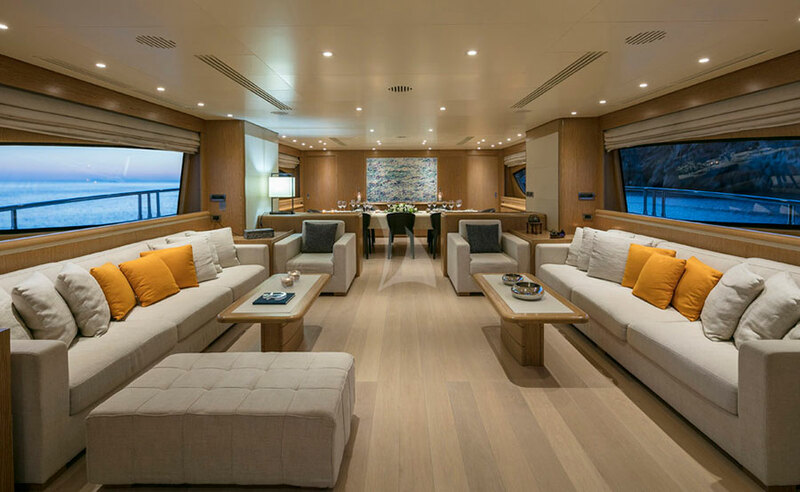 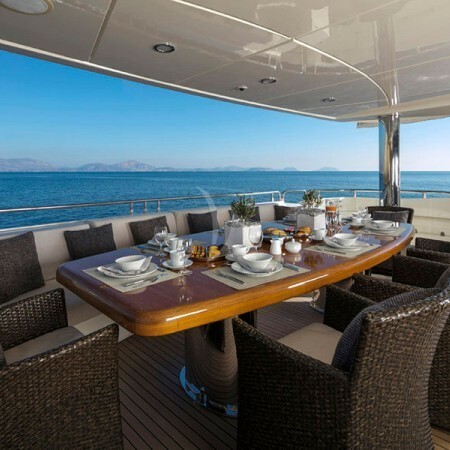 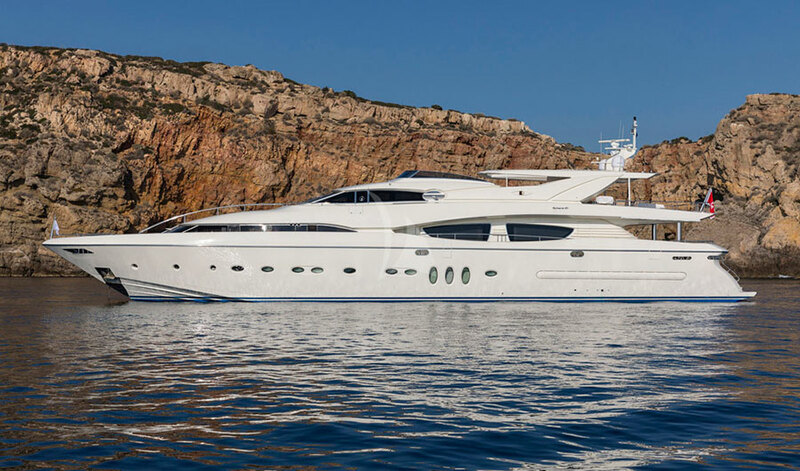 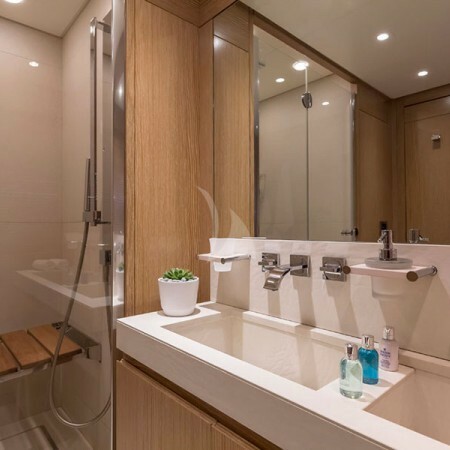 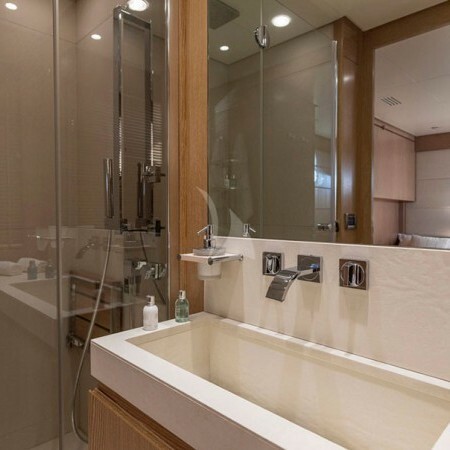 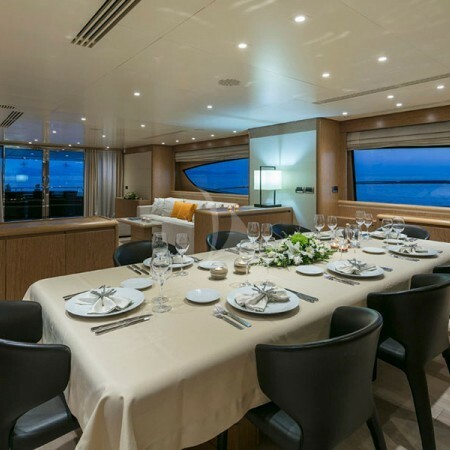 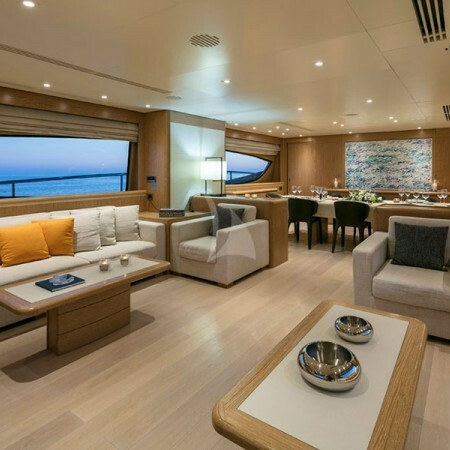 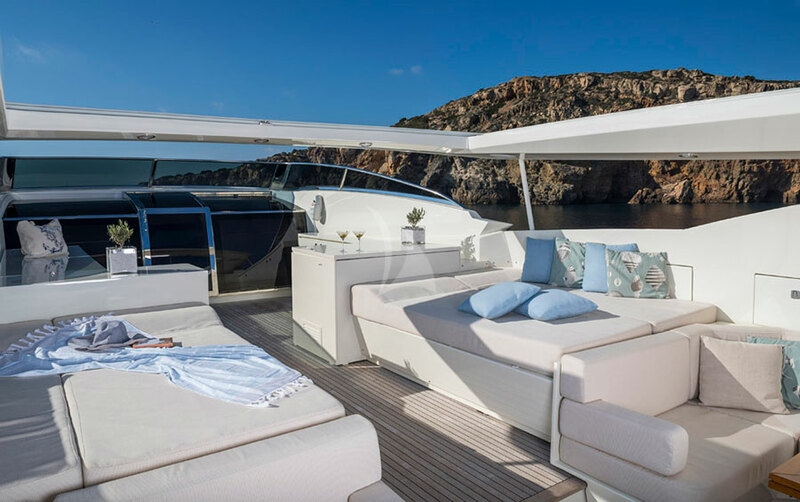 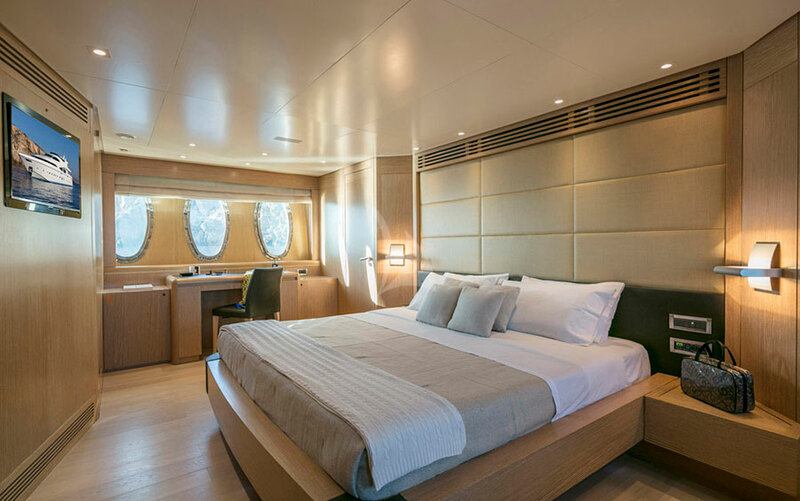 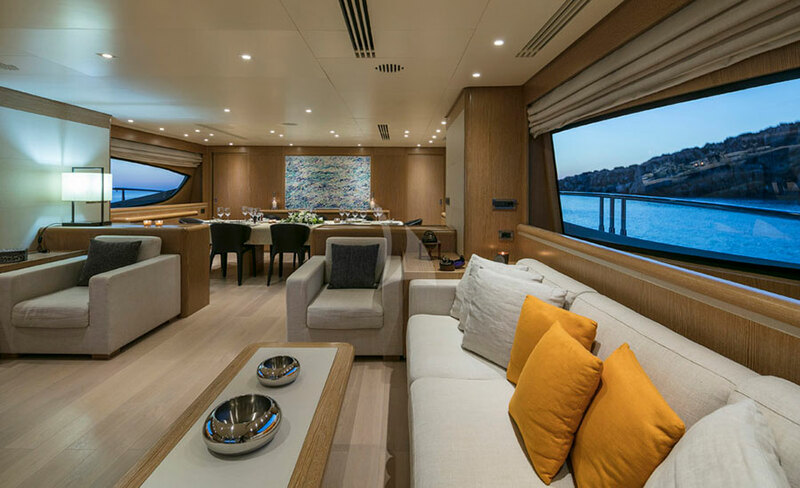 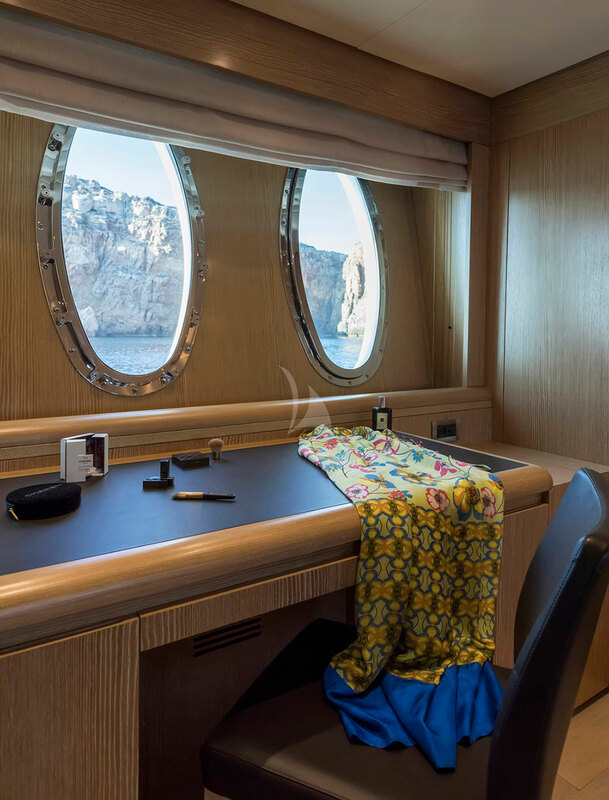 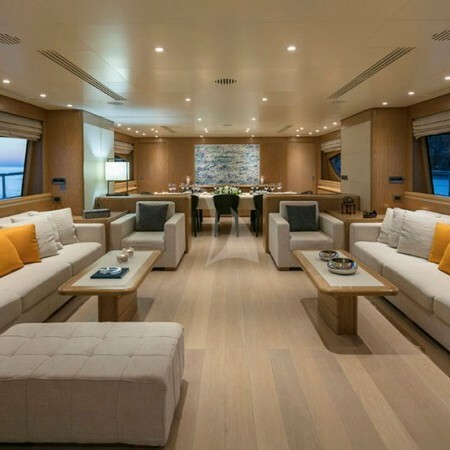 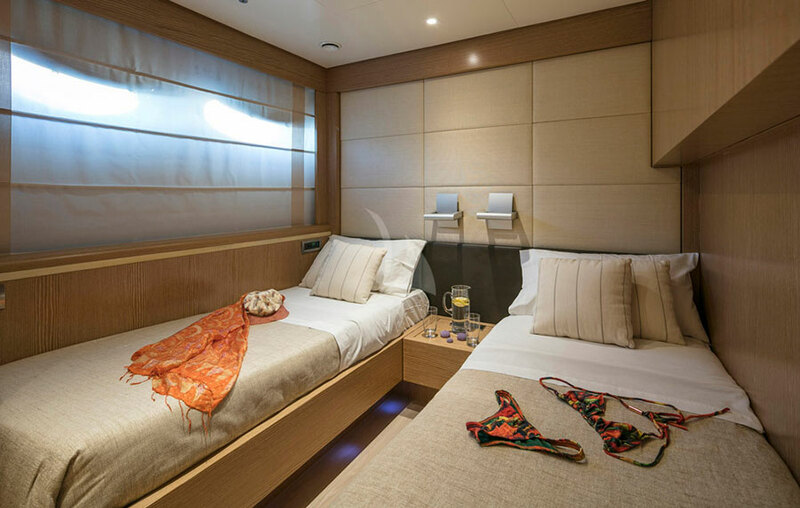 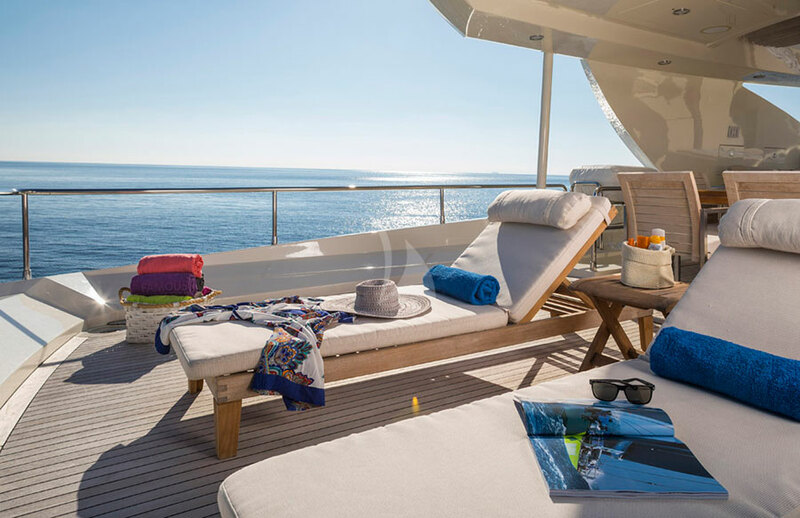 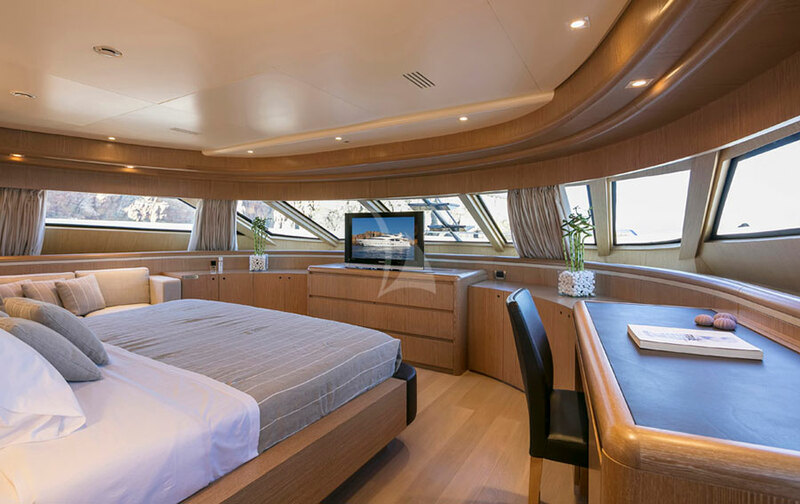 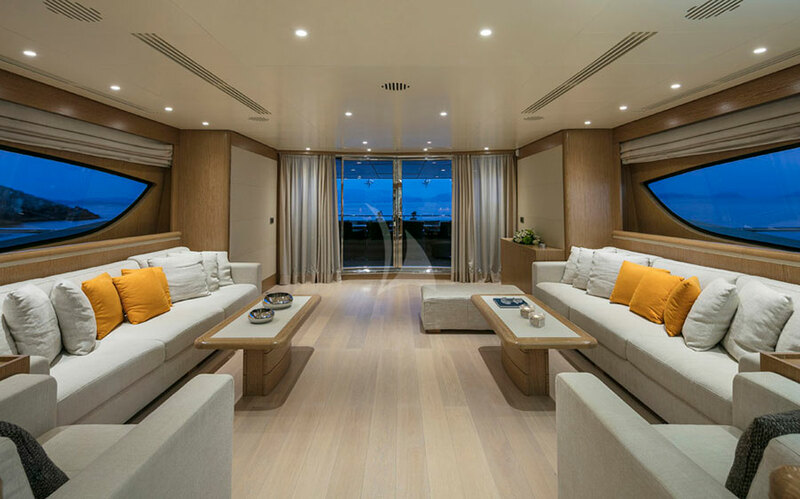 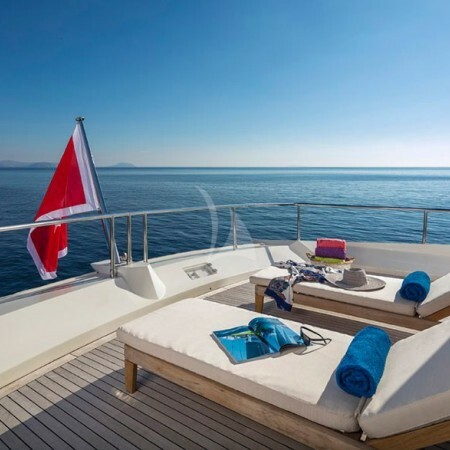 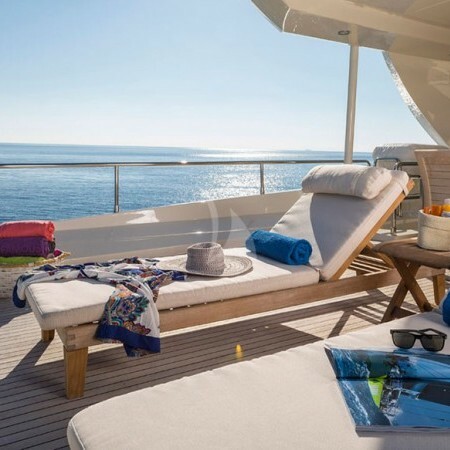 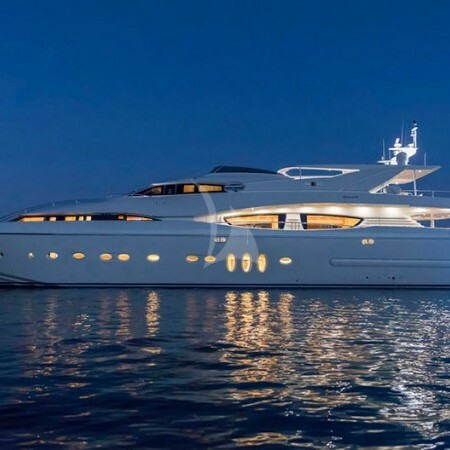 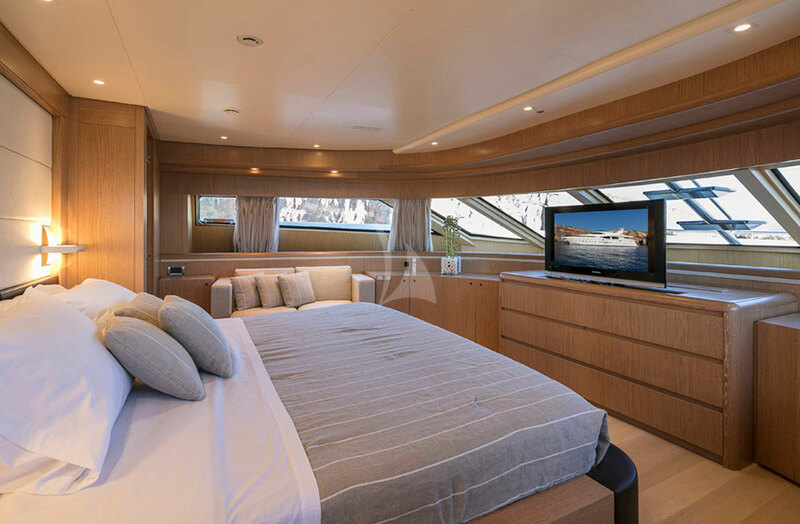 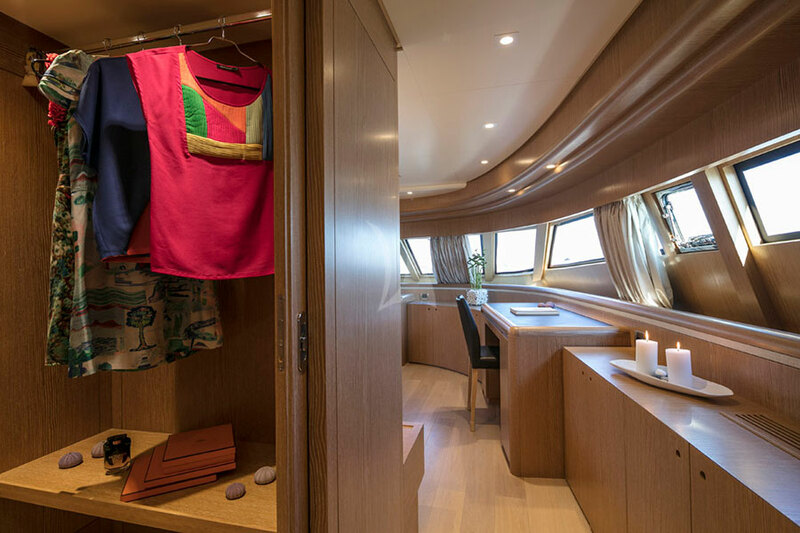 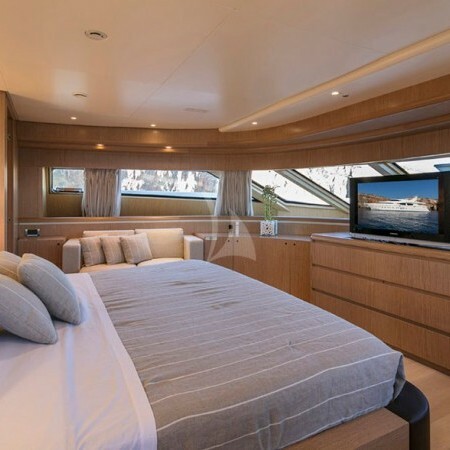 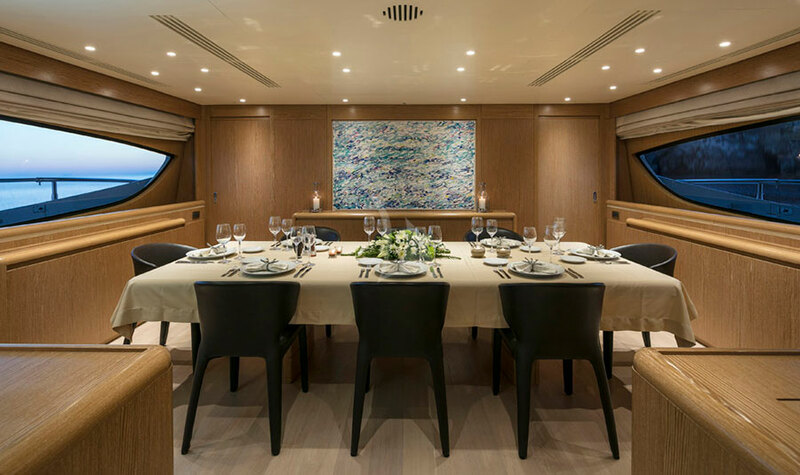 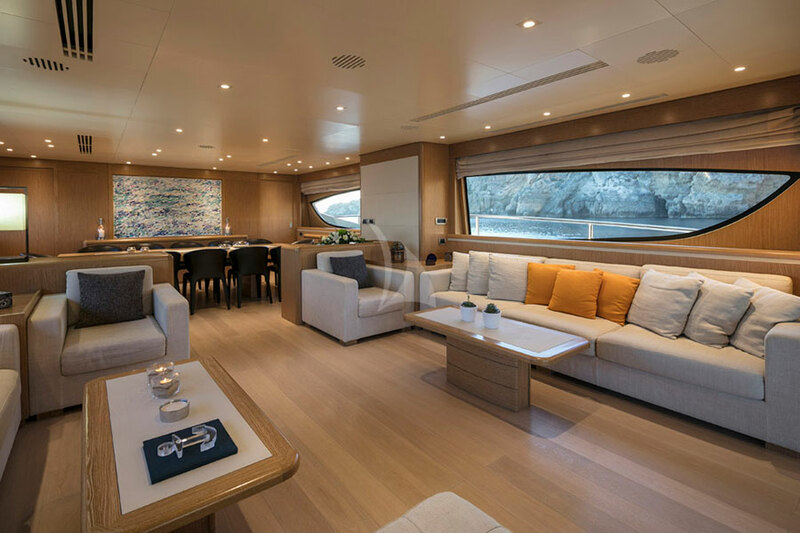 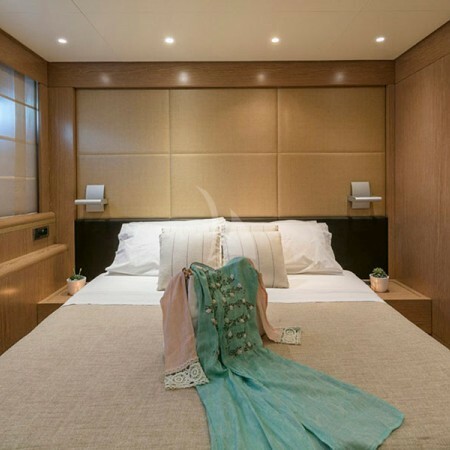 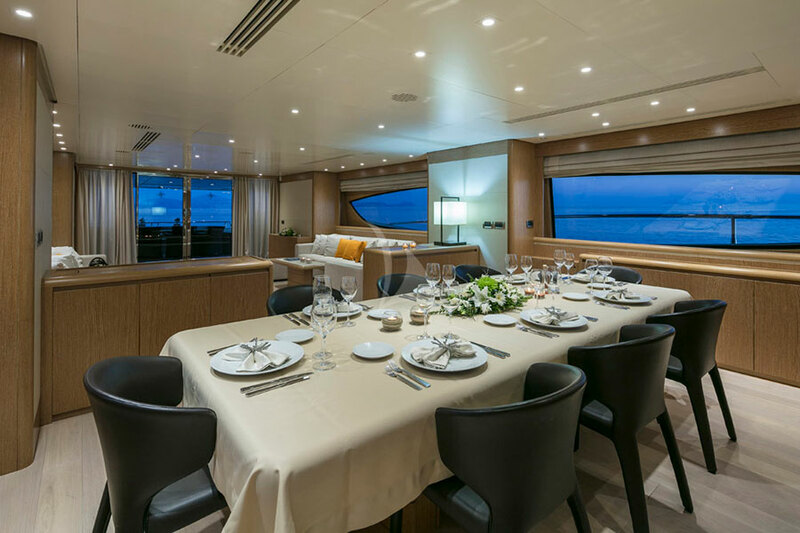 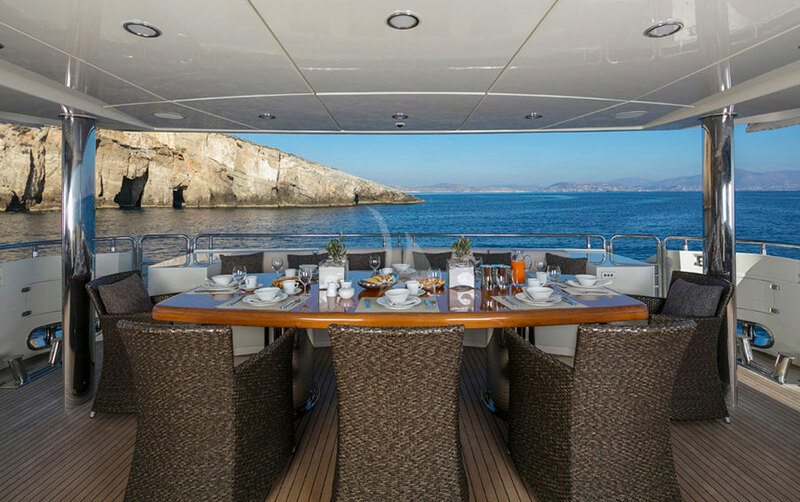 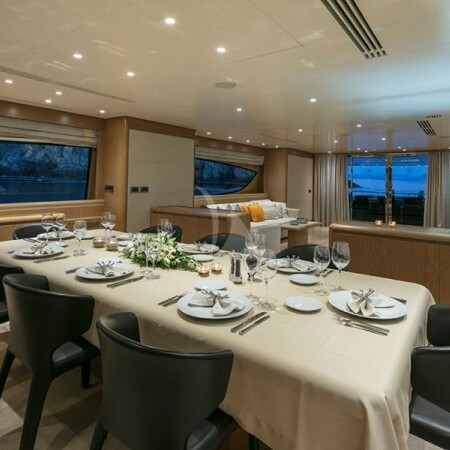 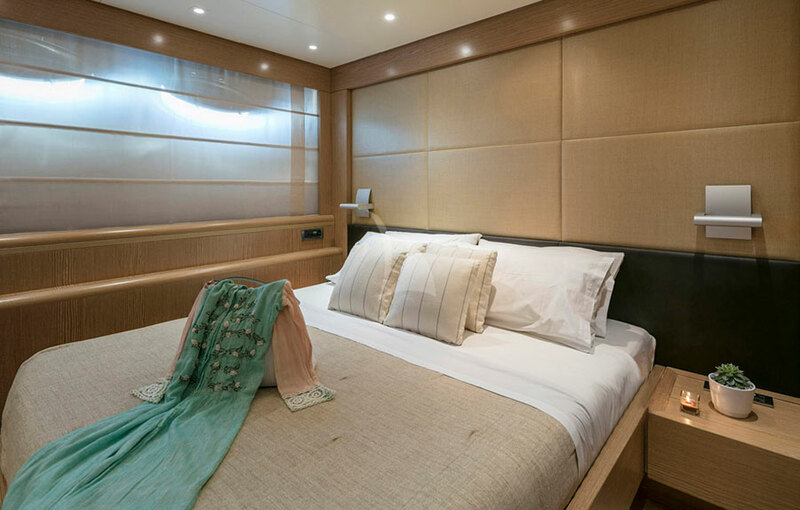 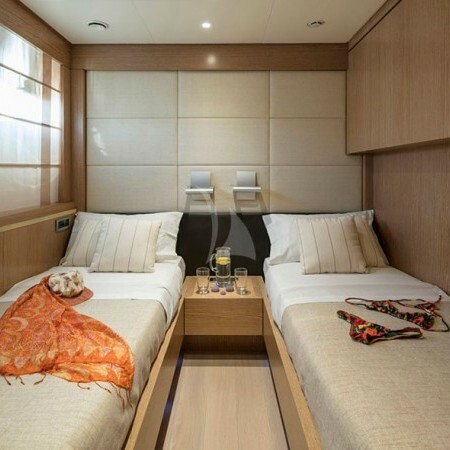 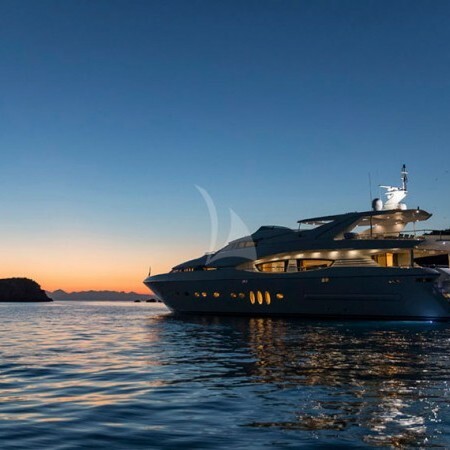 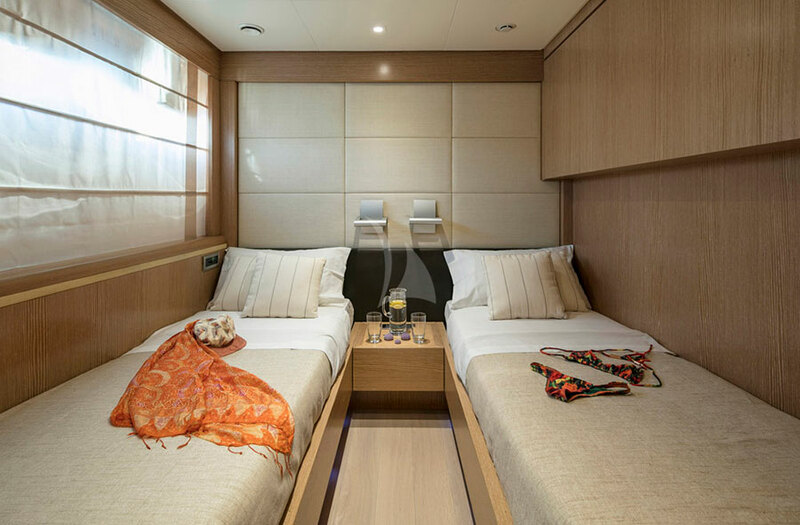 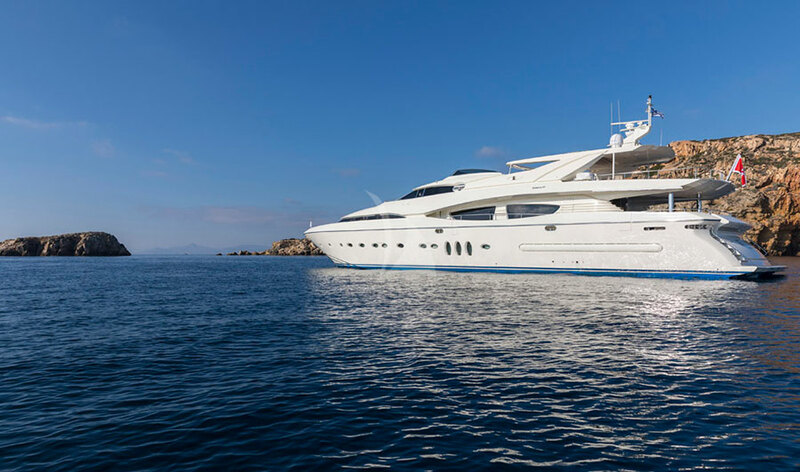 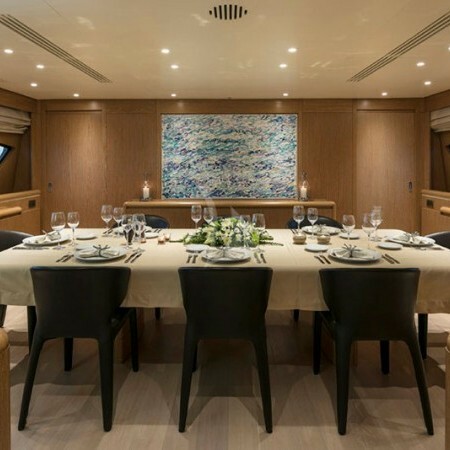 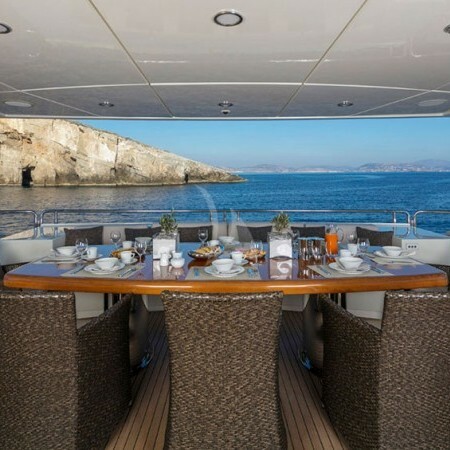 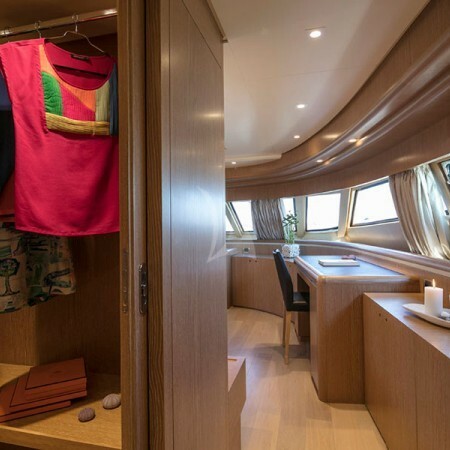 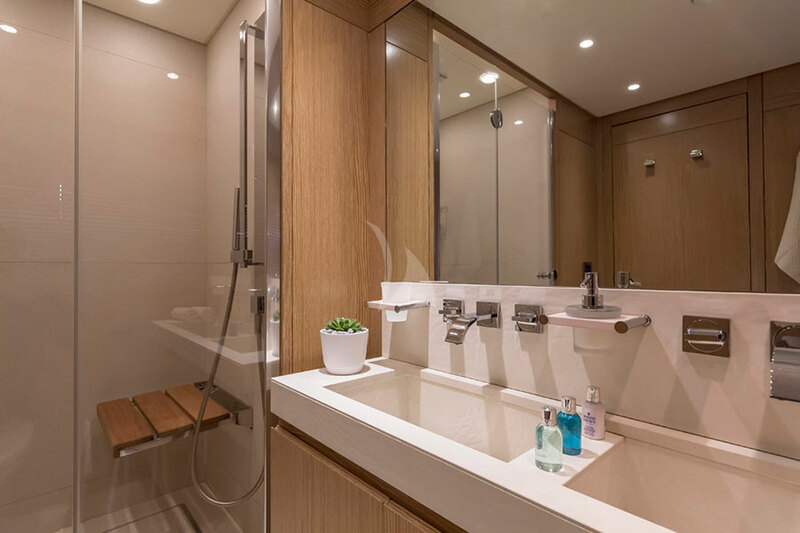 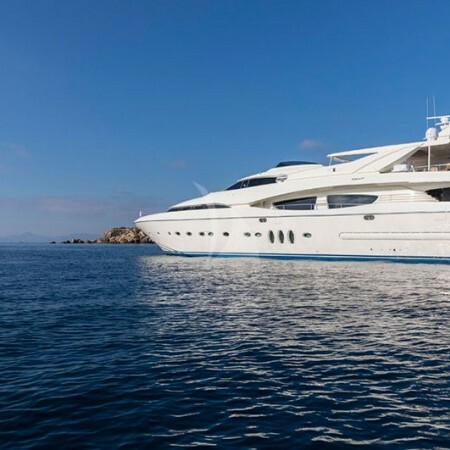 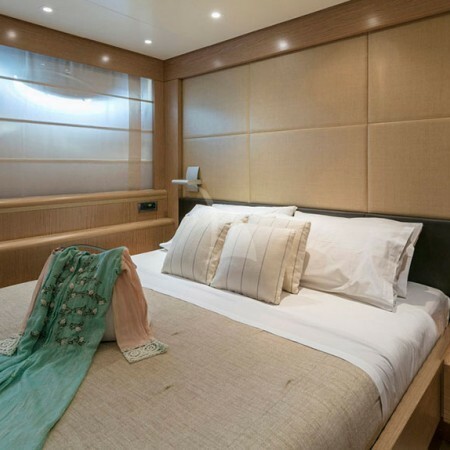 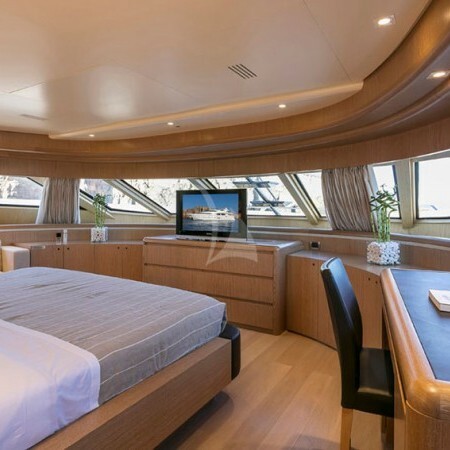 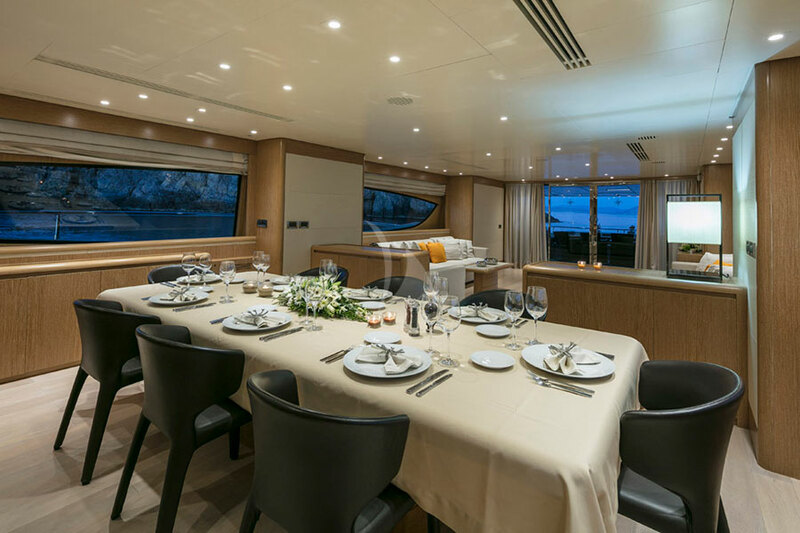 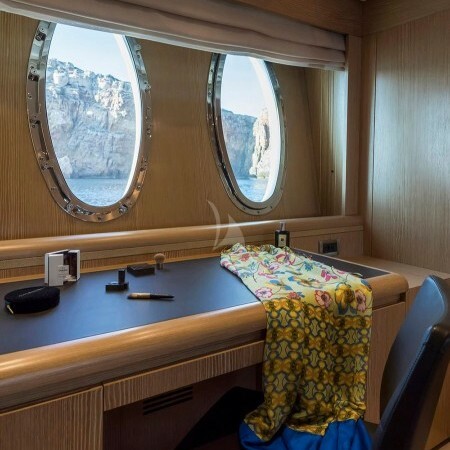 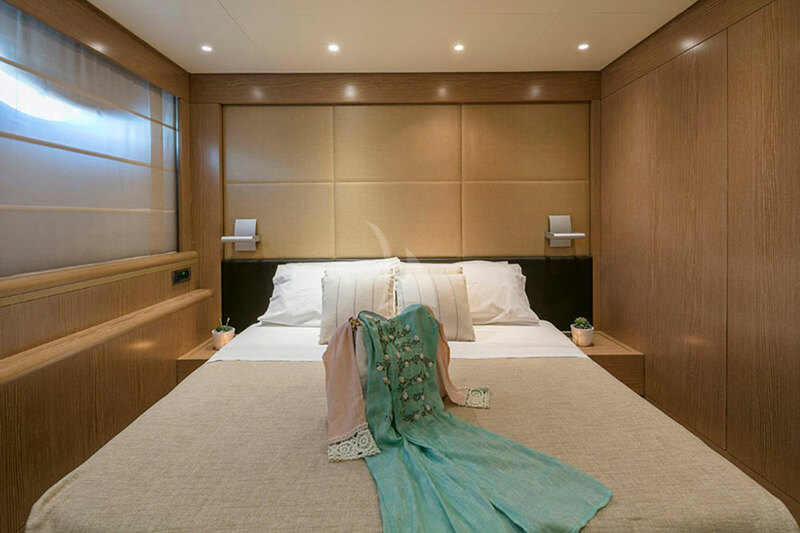 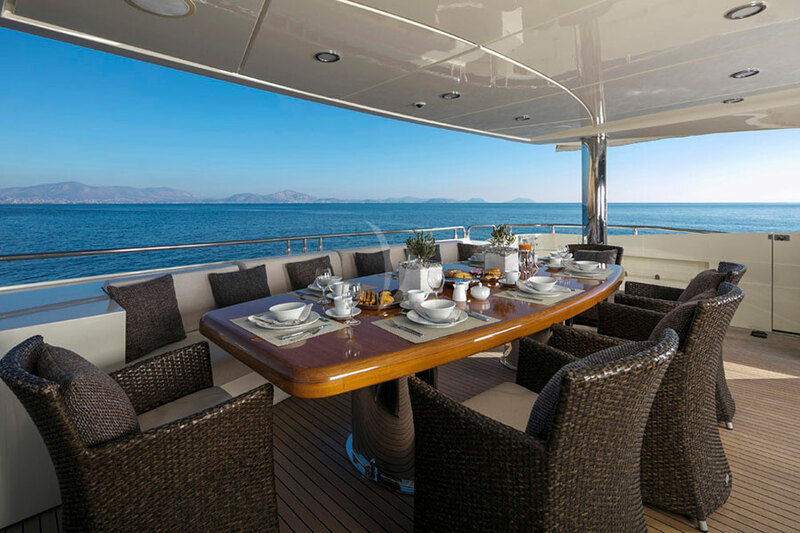 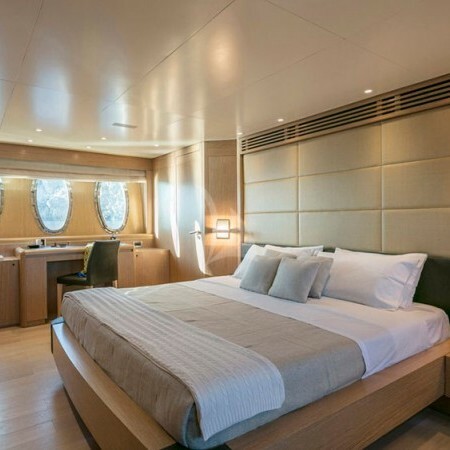 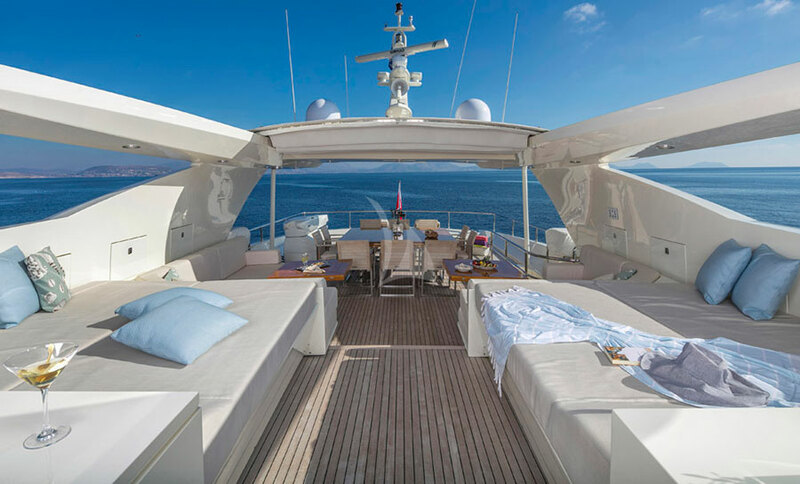 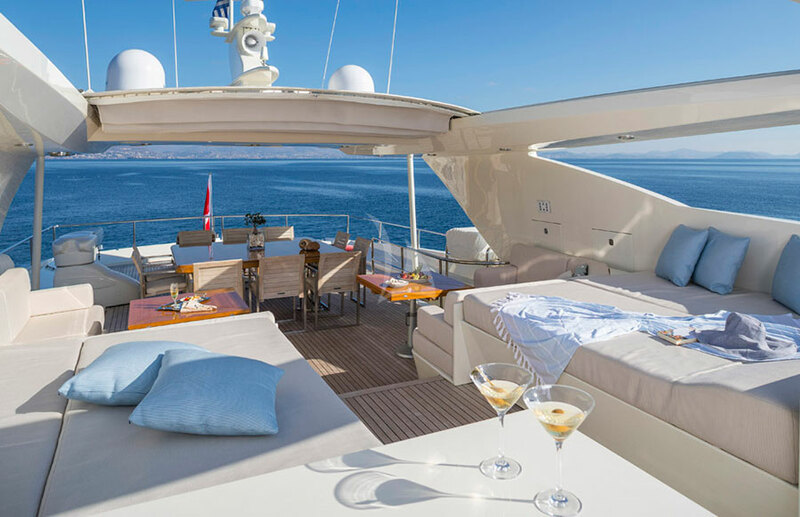 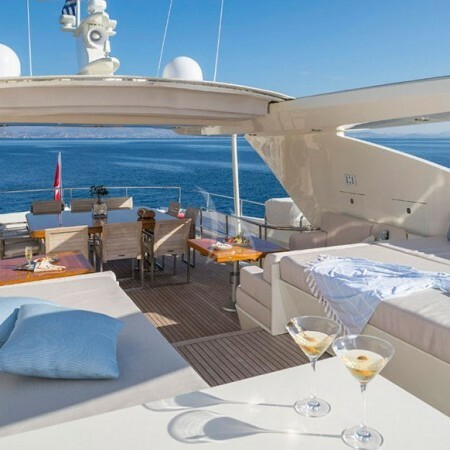 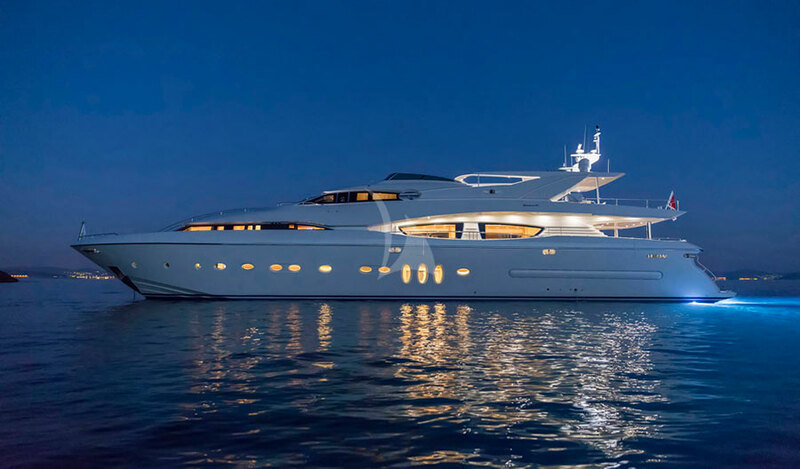 She can accommodate up to 12 Guests in her spacious 5 cabins , including 1 luxury Master suite , 1 VIP cabin , 1 double cabin and 2 twin cabins, all equipped with en-suite facilities.